Artist J. Robert Burnell comes by his love of marine painting quite naturally, having grown up around the water in a family of watermen, and sailing his own boat since he was ten years old. He has sailed on every type of workboat of the Chesapeake Bay area including skipjacks, deadrises, buy boats and menhaden steamers, amassing a library of thousands of slides and photographs of workboats to which he constantly refers for accuracy of detail. He is equally conscientious of historical correctness, researching every object ’s time, place and use. 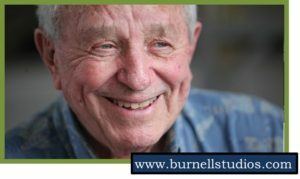 Burnell began studies in architecture at Georgia Institute of Technology, studied printmaking at Old Dominion University, and participated in independent studies with John Pike, Edgar Whitney, Ed Betts, Don Stone, Rex Brandt, Jean Pilk and George Post. He was, himself, an instructor of watercolor painting at Tidewater Community College from 1972 to 2002, and has led summer workshops in watercolor and acrylic painting for over 30 years. In addition to being a member of A.S.M.A., he is also listed in Archibald’s Dictionary of Sea Painters. He has been honored with solo museum exhibitions at the Courthouse Galleries of the Portsmouth Museums and the Reedville Fisherman’s Museum, and group shows at the Rawls Museum Arts and Virginia Lifesaving Museum. In addition to museum shows, Burnell had annual solo exhibitions at Atlantic Gallery in Washington D.C. during its operation. Other gallery exhibitions of his work have been offered by River Gallery in Chesapeake, VA., Cudahy’s Gallery in Richmond, VA., Turtle Creek Gallery in Dallas, TX., and Vincent Hester Gallery in Portsmouth, VA. However, his greatest honors have come in the form of the Gladstone M. Hill Friend of the Arts Award presented by the Portsmouth Museum and Fine Arts Commission in 2003, and, most significant in 2006, the Vianne B. Webb Outstanding Lifetime Achievement Award presented by the Cultural Alliance of Greater Hampton Roads. His work is included in several museum and major corporate collections. Among them are the National Air and Space Museum of the Smithsonian Institution, Old Ebbitt Grill (Clyde’s Restaurants, Inc.), Branch Bank & Trust, Inc., Towne Bank, Bank of America, Inc., Children’s Hospital of the King’s Daughters, Nature Conservancy of Virginia, Bons Secours Health Systems, Inc. and Leesylvania State Park. 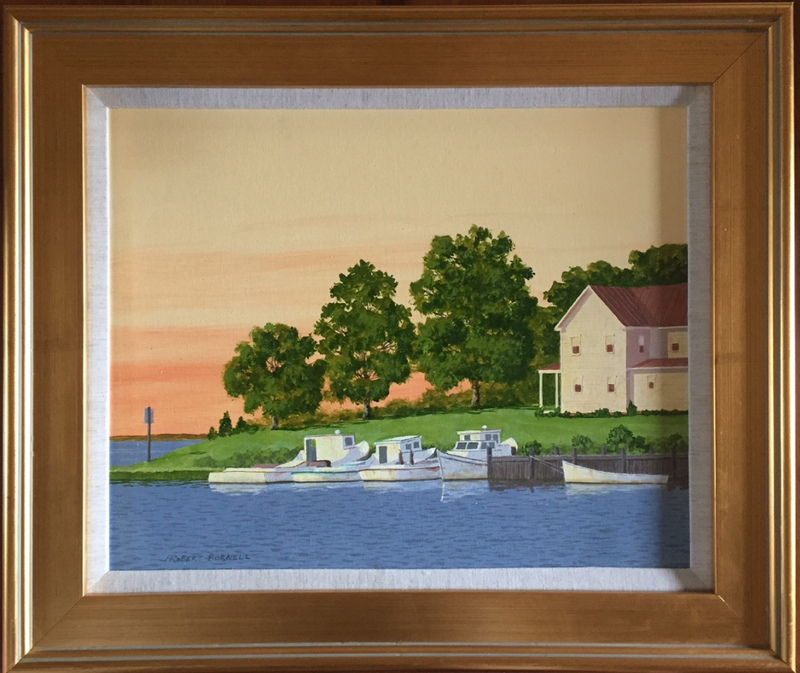 He was selected to create the signature painting for OpSail 2000, for the Great Chesapeake Bay Schooner Race in 2002, and three times for Norfolk’s Harborfest. J. Robert Burnell lives and works in Portsmouth, Virginia where, when he is not painting boats, he continues to maintain and sail one of his own.